We aim to get standard hydraulics reseals turned around in under 24 hours. 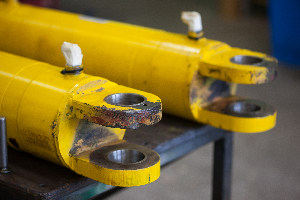 We service and repair rams and cylinders for anything hydraulic, from under 500mm long to over four meters. As well as a dedicated hydraulics expert on the team we have the backup of a full workshop and staff. Many of our customers have the machinery but not the gear to pull it apart. Active has special tooling for removing piston nuts and repairing rams and the backup of a full workshop for difficult jobs. Of course reassembling hydraulics is an art form in itself, and our team has years of experience in this precision work. If the job is beyond repair we can remake components or design and manufacture a full hydraulic system from scratch. Our goal is to give our customers the fastest, most efficient turnaround on their hydraulics jobs. Where possible we manufacture replacement spears using our stock of IH38 hardened steel and we stock CK45 chrome bar for where this is preferred. We also repair or remake eyes, bushes, pistons and barrels in our Auckland workshop. 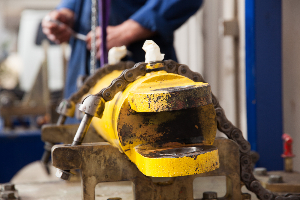 Some of our customers have been using our hydraulics services for more than twenty years. In that time the Active team has worked on projects of all sizes for industries ranging from industrial processing and construction to shipping, mining and forestry. Find out more about our projects here. Callum is happy to talk about your hydraulics job. Click here to learn more about Callum. If you have any enquiries or want to learn more, feel free to visit our workshop or contact us for a quotation.